As of this afternoon, I have 35 design items listed in my shop and it is such a great accomplishment for my business. I have had this goal since last July when I decided to venture into turning my part-time freelance career into my full-time career. Phew, what a relief! Here are just a few examples of items listed. There are now birth announcements, party invitations, personalized stationery and a few save the date designs. The fun part about starting this shop is the endless feeling of needing to create and design. It's not a terrible thing to wake up in the middle of night and start doodling right? 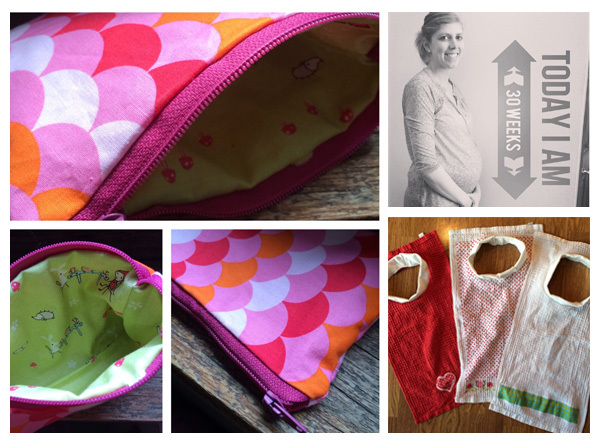 Other fun news happening around the office lately are a few fun sewing projects to welcome our new baby that will arrive in May, finally conquering my fear of sewing a zipper and repurposing some towels into new bibs for a very messy 2 year old oatmeal eater. The $1 section at Target is entirely too tempting. 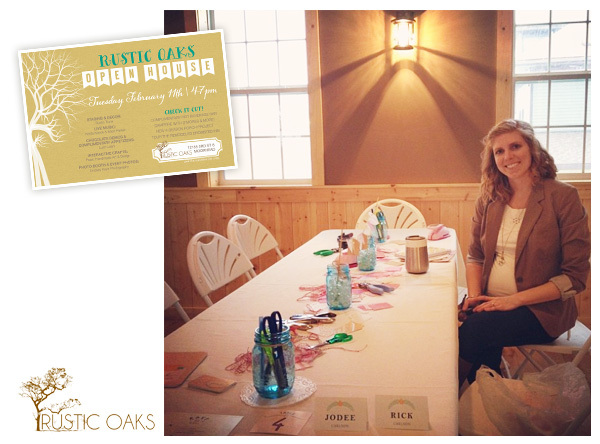 On Tuesday, February 11th I was able to help and be a part of the Rustic Oaks Winter Open House. The location/venue is absolutely beautiful, and every single time I drive out there I dream that I can relive my wedding and have it at Rustic Oaks. Carrie, with Rustic Trunk, decorated and styled the venue so superbly that it made my dream even more intense, ha. Here are a few photos from the event. If you are planning an event this summer and fall you must make sure to browse all of her inventory to make sure to nab some amazing pieces to style your own event. I apologize for the poorly lit and grainy photo of me sitting in my space. Phone photos are not always stellar. In my space we created Valentine's bunting, super cute. Along with keeping in touch with wedding clients and starting new projects I was able to work with the West Fargo Public Schools to product graphics for a recent Professional Development seminar. We created a logo, postcard, program and stickers for unique boxes for the staff to fill with ideas. I will post more on the fun event soon. I also just sent two wedding collections to the printer this week for spring wedding's and it is so nice to see the final product come all together for the bride and groom's big day! Have a very blessed week and keep thinking warm thougts!